A leading human rights voice. 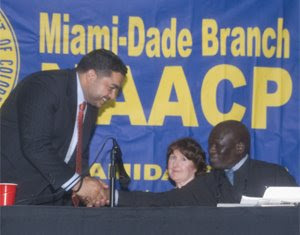 (MIAMI, FL 6/4/08) - On June 2, 2008, Florida Muslim leaders met with Doudou Diène, the United Nations Special Rapporteur on contemporary forms of racism, racial discrimination, xenophobia and related intolerance, at a Miami hearing to discuss Islamophobia and anti-Muslim discrimination. Special Rapporteur Diène is visiting several cities across the United States to "gather first-hand information on issues related to racism, racial discrimination, xenophobia." Reuters: U.N. racism investigator to visit U.S.
Muslim civil rights advocate Ahmed Bedier, who took part in the meeting, relayed how Islamophobia and anti-Muslim rhetoric by officials and pundits are contributing to hate crimes against Muslims across Florida. At the end of the meeting, SR Diene assured the participants that the rise of global Islamophobia is alarming and of great concern to the United Nations and vowed that the issue will be included in the final report about his visit due in 2009. "We thank SR Diene for hearing our concerns about the rise in anti-Muslim bigotry in the United States, and we appreciate his concern about Islamophobia's growing threat to world peace," said Ahmed Bedier. "Civilized nations must take concrete action to curb incitement of racial and religious hatred by supporting dialogue and education." American Muslim Association of North America (AMANA) Director Sofian Zakout, who also spoke at the hearing about personal experiences of bias and discrimination, said "Post 9/11 anti-Muslim hysteria has created widespread fear in the minds of American-Muslims and causing mental health issues." 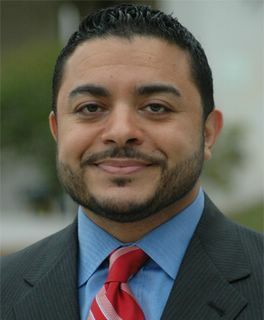 Ahmed Bedier is a Florida based civil rights advocate and President of the Tampa Human Rights Council. Bedier is also the founder and former executive director of the Tampa chapter of the Council on American-Islamic Relations.AMANA is a Miami-based Muslim grassroots organization dedicated to social service and community relations, for details visit http://www.al-amana.org/. Does this apply to Christians and Jews? "Muslim civil rights advocate Ahmed Bedier, who took part in the meeting, relayed how Islamophobia and anti-Muslim rhetoric by officials and pundits are contributing to hate crimes against Muslims across Florida." As a lifelong resident of Florida, I would like to note Mr. Bedier's mention of "hate crimes against Muslims across Florida" included ZERO examples of such crimes. Do we find no need for verification of such apparent imaginations? Ahmed Bedier is a Florida-based human rights advocate and radio show host. Bedier is an expert on Islam, media relations, human rights, hate crimes and the mideast. He regularly appears in local and national media advocating and articulating unique perspectives on a variety of issues.